‘Tis the season for tales of ghosts and ghouls, so why not get a little freaked out with a handful of famous Virginia urban legends? Spooks, frights, and delights! 1. Who’s Afraid of the Bunny Man? In Fairfax, the Bunny Man (an axe-wielding dude in a bunny suit) is said to haunt the “Bunny Man Bridge,” a railroad overpass near Fairfax Station. The scariest part of this urban legend is that it seems to be a truth that grew. This is Virginia’s most well known urban legend. 2. Is there a Richmond Vampire? 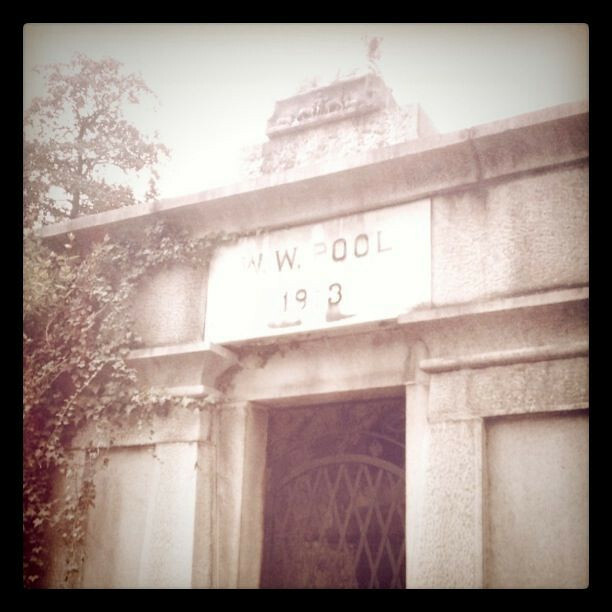 People flock to Hollywood Cemetery in Richmond for a number of reasons. Among them are seeing the Monument to the Confederate War Dead (a 90-foot pyramid), finding the graves of two United States of America Presidents and one Confederate States of America President, enjoying the amazing view of the James River, and looking for the mausoleum of William Wortham Pool. It is within the latter that the Richmond Vampire is said to reside. His “birth” occurred during the 1925 collapse of Church Hill Tunnel on a train loaded with passengers. While it’s hotly debated as to exactly where this particular Route 666 is located, it’s said there are seven iron gates lining a driveway off of it, and at the end (if you can make it that far) is purportedly a house where unspeakable things were inflicted upon African-Americans. Some say the location is in Bedford County while others put it over in Franklin County. Regardless, it seems that either no one gets past the fifth gate or they’re too afraid to proceed past the fifth gate, as that’s where cars are reported to turn off and electronics shut down. Another deterrent is a farmer with a shotgun at the end. This may not be an urban legend you wish to pursue. Sasquatch, Bigfoot, Woodbooger … different names for about the same man/ape beast, right? We know where you might find one. Norton, Virginia, is an official Woodbooger Sanctuary as resolved by the Mayor in October 2014. One reason cited for the resolution was “the High Knob and adjoining City of Norton Recreational areas are possible habitat” for the unconfirmed, but tweet-happy hairy resident. If you want a picture with his likeness, you’ll find a big bronze statue at the top of Flag Rock. Hungry for more urban legends? Check out this cool video by Dead X Midnight. ← Looking for Foliage? We Got That.